Find that extra touch of charm with these fabulous bachelorette party ideas Charleston! With a fabulous mixture of history and glamorous night spots Charleston is fast becoming the go to Bachelorette destination. 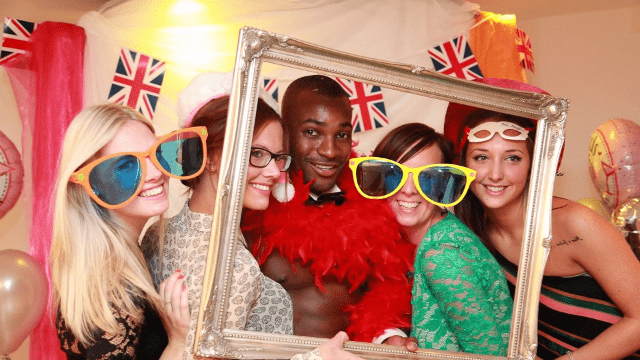 Why not surprise your girls with a Butler in the Buff to serve up the pre-drinks before heading out on the town? These handsome hunks will assist you with your party games and activities wearing only a bottom revealing apron, collar, cuffs and bow tie! If games aren’t your cup of tea, try an art night and have your butler pose for life drawing! Or try our famous ‘derriere’ prints – a colourful memento for your guests to remember your event! Charleston, the South Carolina port city founded in 1670, is defined by its cobblestone streets, horse-drawn carriages and pastel antebellum houses, particularly in the elegant French Quarter and Battery districts. All fantastic sightseeing for your weekend with the girls. And if you want to pick up a few travel souvenirs – perhaps a sweetgrass basket – look no further than the Charleston City Market. The warmer weather is very appealing to most bachelorette parties so plan in some beach bachelorette party ideas in Charleston and South Carolina. Make sure you factor in some chill out time on Folly Beach to kick back, relax and enjoy the Southern sun. Every well planned bachelorette includes a chance to fuel up and take advantage of some of the best soul food in the Carolinas! If you are looking for some culinary treats and best foodie bachelorette party ideas in Charleston head to Husk for amazing slow cooked pork that is to die for. Also in the French quarter you will find a fabulous BBQ destination Food for the Southern Soul. Cocktail lovers will love the assortment of great bars. Especially The Gin Joint, which uses local spirits and liquors to create one-of-a-kind cocktails amidst modern vibes that will have everyone ditching their vodka sodas for something altogether delicious and exciting. No bachelorette party in Charleston is complete without dancing! Charleston’s glitzy, Jazz styled Commodore offers fun live music with rotating DJ sets for a fun mashup of dancing and entertainment. With hundreds of beautiful hotels and great finds on Airbnb you are spoilt for choice. Check out the Wentworth Mansion and don’t forgot to look at hotels in the French quarter like The French Quarter Inn.